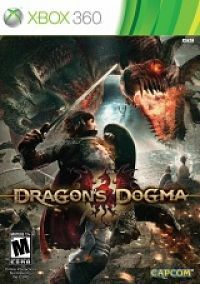 Scene group iMARS released a new RPG game Dragons Dogmafor xbox360, Dragon’s Dogma is an exciting new franchise which redefines the single player Action-RPG genre. Developed by the team that produced some of Capcom’s greatest action games. It’s region free. Enjoy! 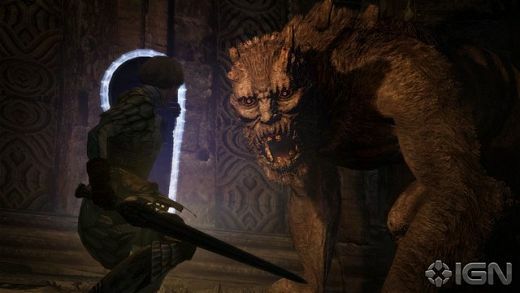 Description:Set in a huge open world, Dragon’s Dogma is a unique action experience that blends exciting and fulfilling combat with the freedom to explore and interact in a rich, living and breathing world. With your party of three you set out on an epic adventure to track down and destroy a mysterious dragon. Along the way you’ll encounter some of the biggest and baddest beasts ever to roam the land, and only skilful play and tactical teamwork can save the day. Dragon’s Dogma introduces an innovative team system to the genre. The player’s three AI partners, known as “Pawns” fight independently, demonstrating prowess and ability they have developed based on traits learned over time from the player and their actions. Utilizing Xbox LIVE, players will journey to the Rift where they can share their own Pawns with friends and be rewarded with treasure, knowledge of the world and strategies for taking down enemies. Conversely, players can borrow friends’ Pawns with the specific skills or experience required to tackle a particular quest. In addition, Dragon’s Dogma will ship with thousands of ready-made Pawns for players to select offline. Fight With Ability – The soul of combat comes down to how the game is played, where you strike the enemy, and how you react to their attacks. Accessible Depth – Bringing an unprecedented level of depth to the action genre, every decision has an effect on gameplay in an intuitive way that does not require micromanagement. The weight of your weapon, the material of your armor – even the length of your legs – plays a role in how you fight your battles, but does not interrupt the flow of the action. 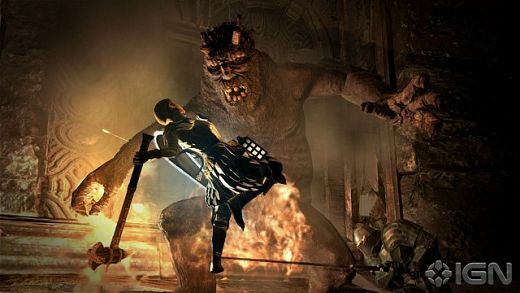 Epic Adventure – Dragon’s Dogma is built from the ground up as an action experience for consoles with a continuous, epic storyline that stands alone in style, scope and substance. Open World – Utilizing Capcom’s proprietary MT Framework engine and the groundbreaking graphical styles and lighting effects used in Resident Evil 5 and Lost Planet 2, Dragon’s Dogma expands the environment to create a vast, richly detailed world, ripe for exploration. A Rich Population – In addition to interacting with hundreds of fully voiced NPCs, you’ll be able to fight a large variety of creatures, from goblins to griffins and dragons. Each enemy requires a different strategy and provides a unique experience. Soy una persona que cree en la libertad de las ideas, ya que los limites solo existen porque se crearon con ideas que limitan el pensamiento de aquellos que se imaginan que son libres.